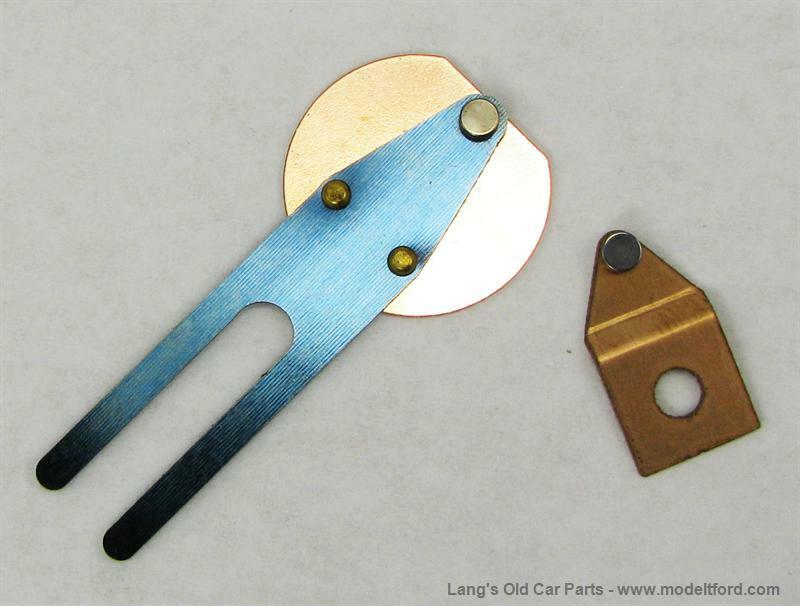 Show Quality Heinze coil point set, for Model K. Exact duplicate of original with exception of the tungsten points. These points are for coils with rubber sleeves and a dogleg bronze upper bridge. NOTE: This is one point set for one coil.